NEW BEDFORD, Mass. — Southcoast Health announced today that BayCoast Bank has committed a $500,000 grant to the Campaign for Southcoast Health — a $25 million capital fundraising campaign which is the largest in the not-for-profit healthcare system’s history. “Our commitment to the communities we serve is unwavering. 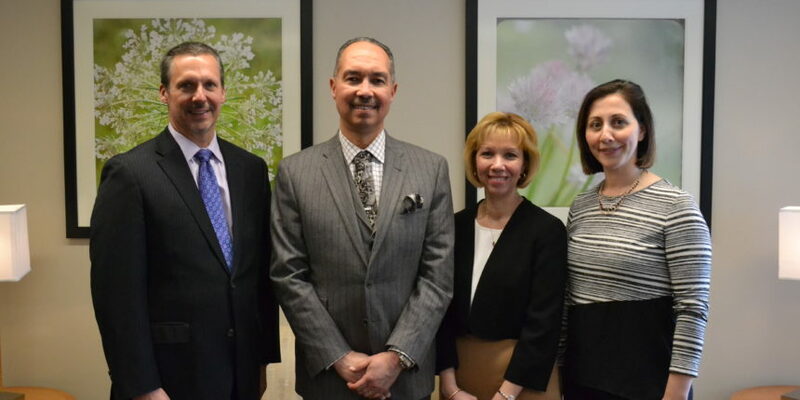 BayCoast is proud to support Southcoast Health, one of the largest health systems in Massachusetts and a major care-provider for the South Coast region with this grant toward their capital campaign,” stated Nicholas Christ, President & CEO of BayCoast Bank. The Campaign for Southcoast Health is currently raising funds to support major capital initiatives across Southcoast Health’s three acute-care hospitals — Charlton Memorial in Fall River, St. Luke’s in New Bedford and Tobey in Wareham. BayCoast Bank’s gift will be split between the new, state-of-the-art Stoico / FIRSTFED Maternity Center at St. Luke’s and the Harold and Virginia Lash Heart and Vascular Center at Charlton Memorial. Southcoast Health is the only provider of maternity services in the South Coast region. Each year nearly 3,500 babies are delivered between its three acute-care hospitals with 1,400 of those births taking place at St. Luke’s. Maternity services at all three sites offer a family-centered approach that provides the right combination of compassionate care and the latest technology. The Lash Heart and Vascular Center at Charlton is home to Southcoast Health’s nationally-recognized Cardiovascular Services, including a state-of-the-art hybrid operating room and new electrophysiology lab. The hybrid operating room is a cardiovascular surgical theatre equipped with advanced medical imaging devices to enable minimally-invasive surgery while bringing together doctors of different disciplines in the same operating room. The hybrid OR supports Southcoast Health’s structural heart procedures, vascular surgery and endovascular medicine. This past year, BayCoast Bank provided financial support to 303 local nonprofits, with 32 percent of donated funds being directed to health and human service initiatives.